My photo didn't get the work permit and he said no one asked him anything. He filled out his thing on the plane as just a visitor not as a biz person. Our coordinator didn't bring it up at all.... I really think they do that so you will hire a local person through them and they can make money. Honestly, our experience with customs was just soooooo easy. They just seemed like they they didn't care about anything. I believe that Tara Knull (sp?) now refers Jessica Claire a lot..is she on this website? Since Jessica shoots ALOT in Cabo I am sure Tara would know for sure. Q: Are there regulations about what camera equipment I can bring in to the country? A: Yes. You may only bring one camera and one video camera into the country per person. If you are traveling as a family and are each bringing a camera, we recommend going through the search line separately because they will occasionally tell you that only one camera per family is allowed. Q: Is there any other aiport protocol I need to know about? A: Yes. Cabo San Lucas has â€œred light/green lightâ€. Once you collect your bags from the baggage claim, you will need to go through xray and then you will be asked to push a button. If when you push the button you get a red light, they will search all of your bags for contraband items, including multiple cameras. You will have no problem as long as you are only carrying the allotted amount. A more affordable way to spend destination wedding is hiring a local vacation photographer instead. You save a lot on travel expenses, hotel expenses and have a LOCAL photogapher to show you around. Check out PicVoyage. A new vacation photography service company. http://www.picvoyage.com which offers family photos, honeymoon, engagement, elopement and intimate destination photo service. 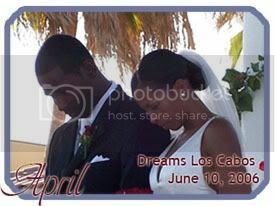 The package is really affordable comapring to a destination wedding photographer. They can also offer local vaaction photo tours experience. I think it is pretty cool idea to save money and also get to tour the city.